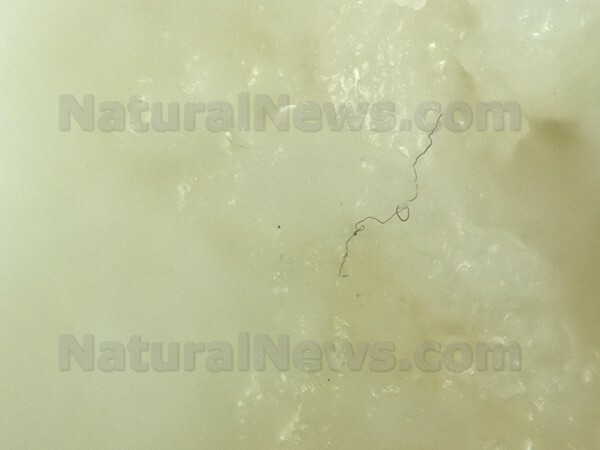 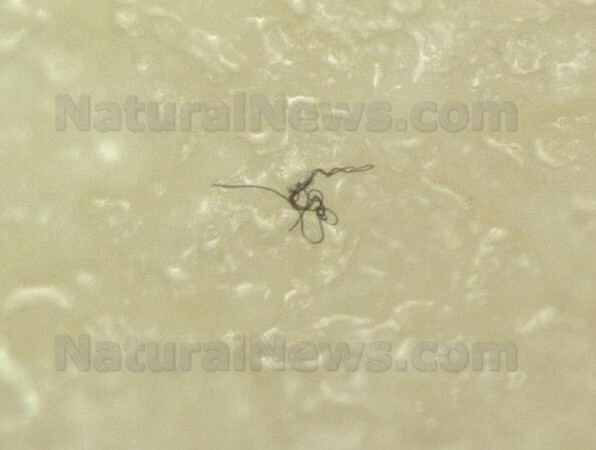 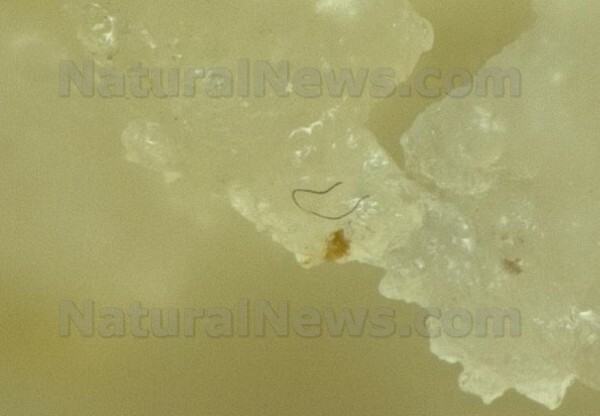 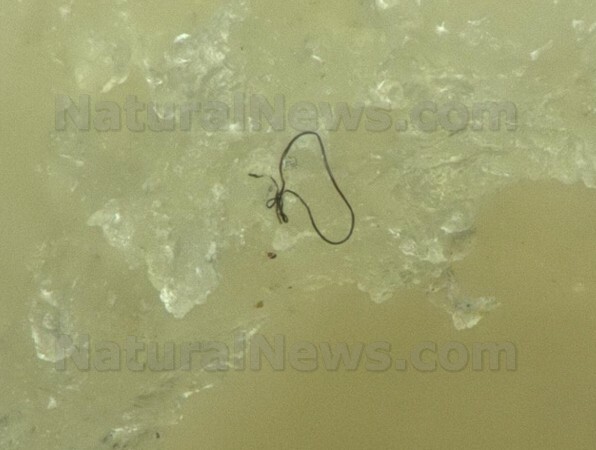 (NaturalNews) More microscopic photos of the "mysterious fibers" found in McDonald's Chicken McNuggets have been released by the Natural News Forensic Food Lab. 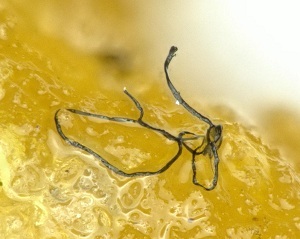 The forensic microscopy investigation was conducted by Mike Adams, the Health Ranger, using clean laboratory protocols. 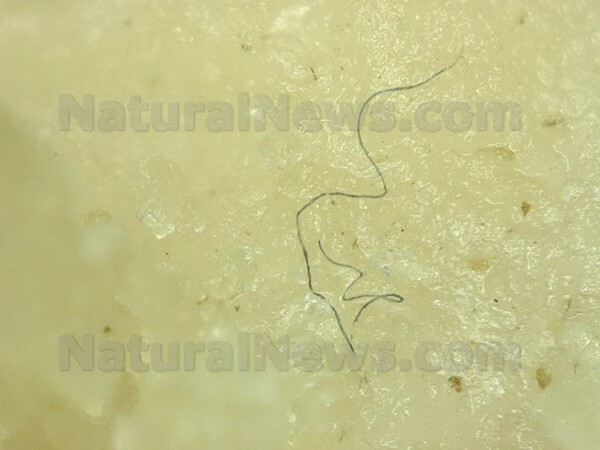 These new photos, shown below, appear to depict microscopic hairs, fibers or strands of varying colors and shades throughout the McDonald's Chicken McNugget samples. 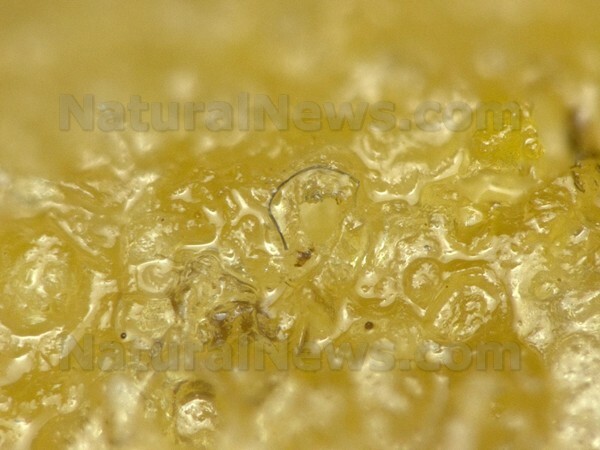 All the following photos were taken at 200X magnification. 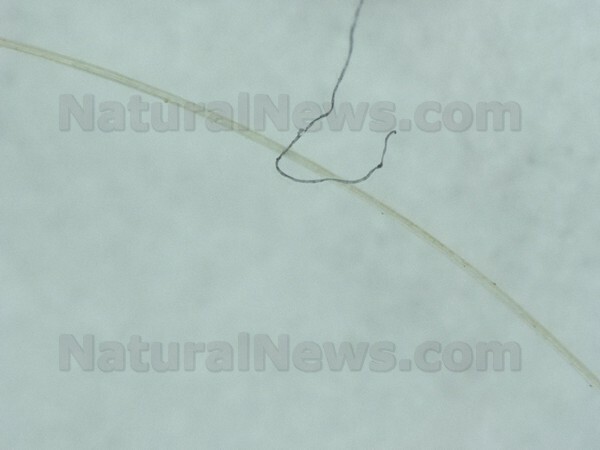 The hair-like fibers you see here are much smaller than a human hair or animal hair (see comparison below). 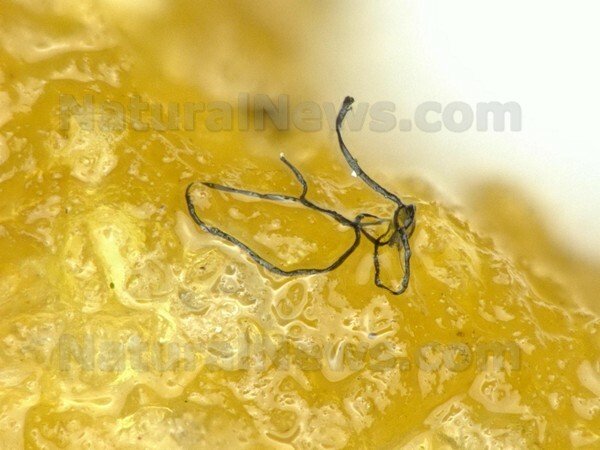 The Chicken McNuggets were purchased on August 15, 2013 at a McDonald's restaurant in Austin, Texas. 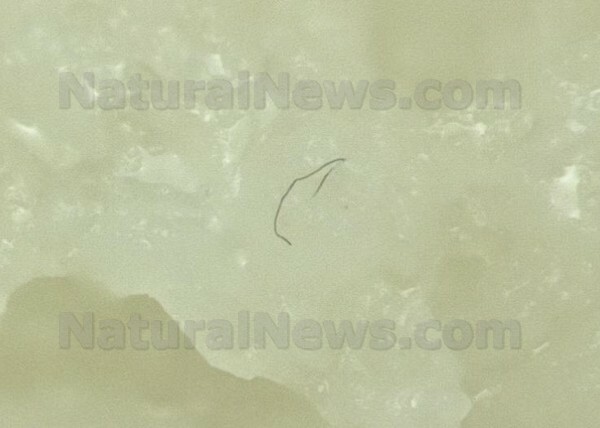 Natural News broke the story yesterday about mysterious fibers found in Chicken McNuggets, and the story has been covered by www.DrudgeReport.com www.InfoWars.com and thousands of other websites across the 'net. 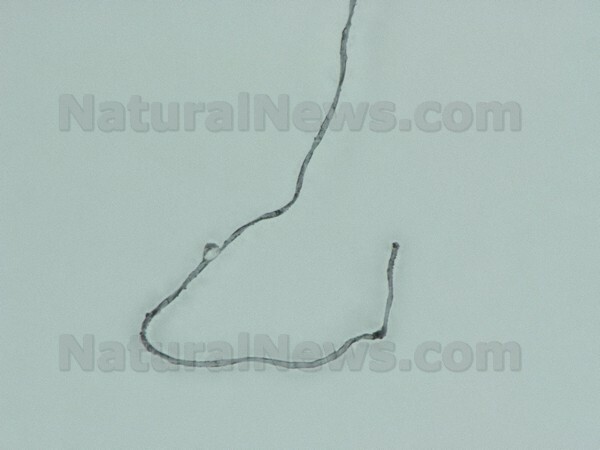 "These microscopic images of strange fibers in Chicken McNuggets do not mean they are unsafe to consume," reiterates Mike Adams, who led the microscopy research project. 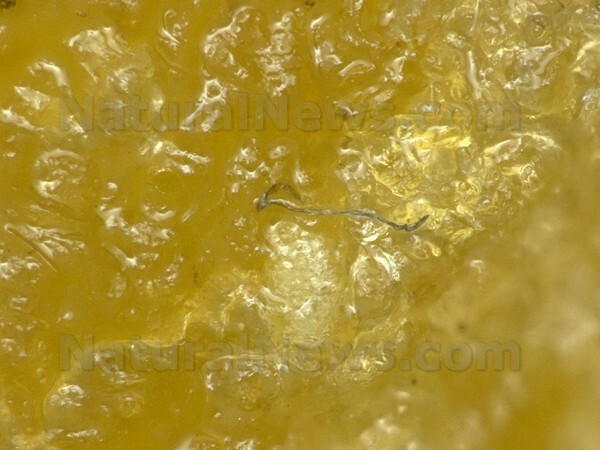 "But they do raise many questions about the origin of the ingredients used in Chicken McNuggets, and they possibly raise red flags about quality control procedures used in the manufacture of this popular fast food." 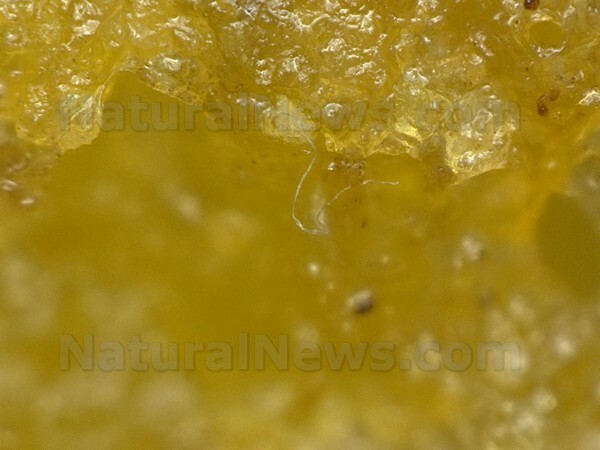 Click here to see more images from the first batch we released when we first broke this story.